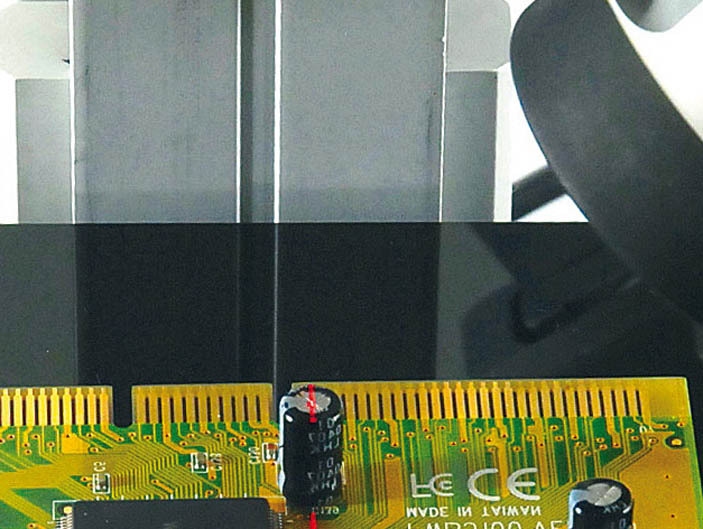 Opto Engineering offers a variety of optical components dedicated to the 3D measurement and inspection of components. This paper has the objective to show you possible applications for electronic components and board automated optical inspection (AOI). Contact us for more information and to get support for the development of your inspection system with these new unique optics. 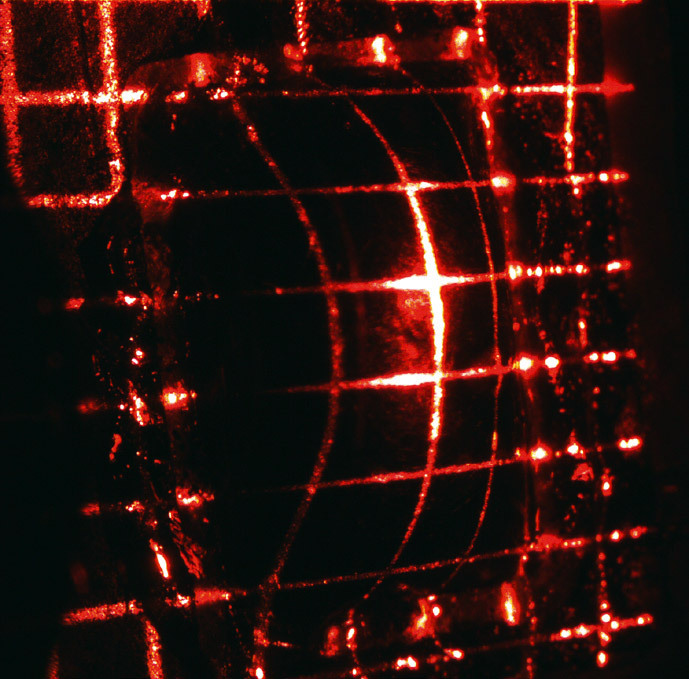 A TC telecentric lens images a Ball Grid Array illuminated by a LTPRSM Scheimpflug pattern projector. 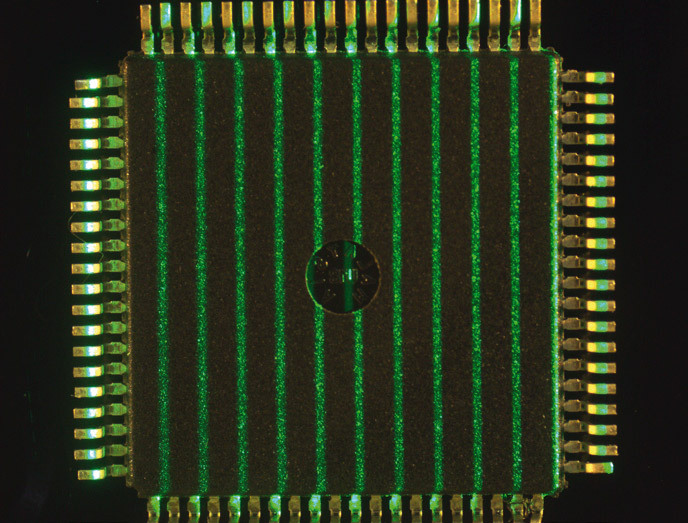 The projection is made of perfectly parallel stripes whose pitch is the same as the BGA in order to detect defective or missing balls. The Scheimpflug projection makes the line undistorted and perfectly in focus on the component surface. 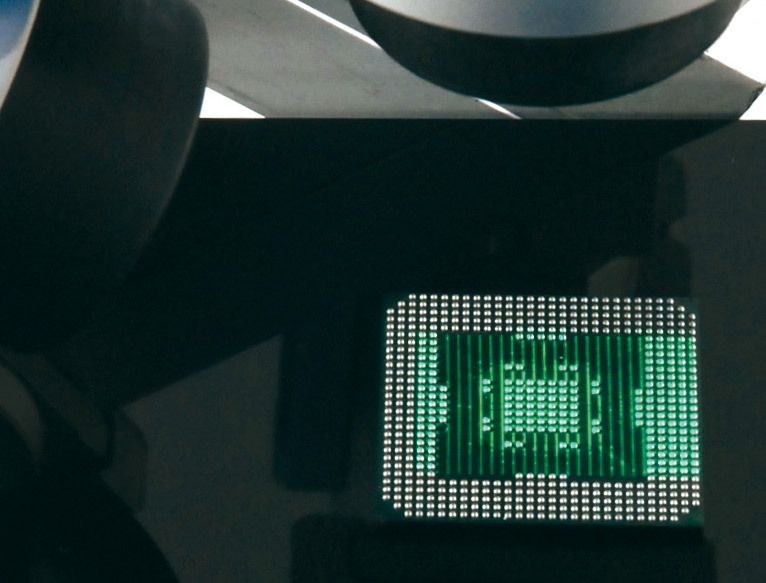 A LTPRSM 3D pattern projector illuminates a solder pasteball through a MC macro lens. A red light grid covers the paste showing its shape in 3D. A MCSM Scheimpflug macro lens is then used to image the object without losing the best focusing conditions over the entire surface where the paste has ben deposited. 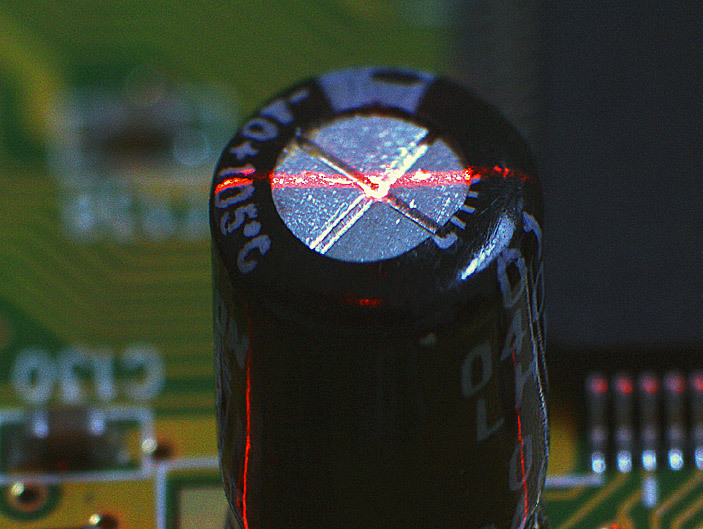 A zero-distortion MC macro lens illuminates with a thin red line a PCB board where electronic components are mounted. A TCSM Scheimpflug telecentric lens is used to image the sample from a 45° viewing angle and to perform 3D reconstruction based on triangulation techniques. 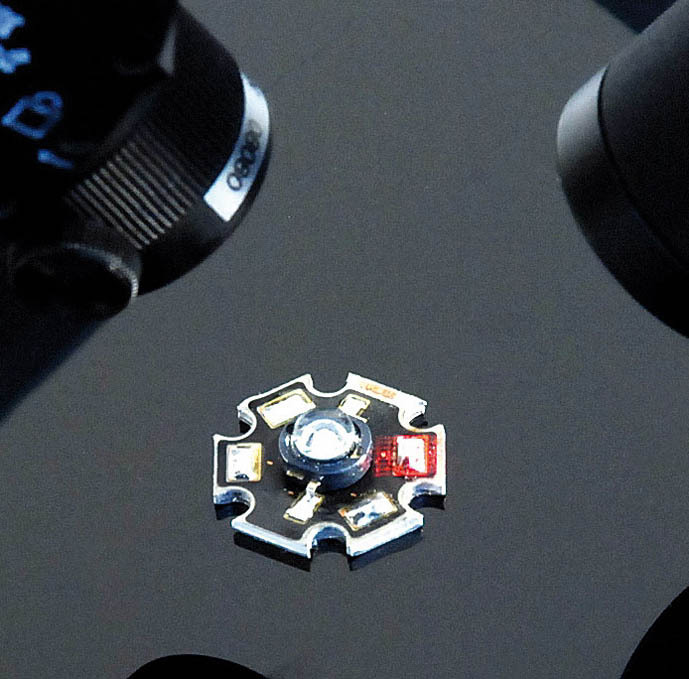 The tilted mount ensures that the focus is maintained througout the whole field depth of inspection. 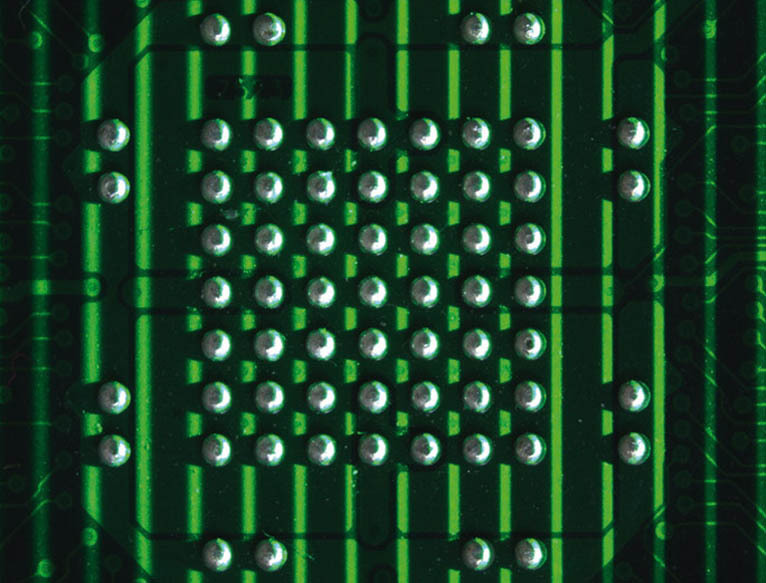 A MC macro lens images the connection pins of an integrated circuit. 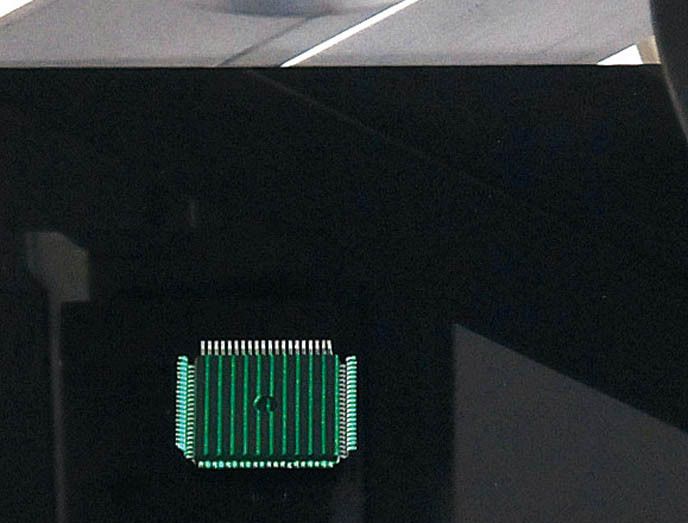 A LTPRSM 3D projector draws a striped pattern on the pins through a TC Telecentric lens. The lines are kept in focus through the whole component surface by tilting the illuminator pattern. Defective pins are thus detected.